It sounds so lovely and hospitable, a regular weekly open house for people of all ages to come over and hang out and eat sandwiches by the fire. So much more low-pressure than a party and so much more low-drama than a regular family-only gathering! The sandwiches also sound delicious. Mr. Ray assembles them with painstaking care and even distribution of seasonings. And he has good material to work with. There’s no pressed turkey in the Rays’ icebox. No slimy ham, no greasy salami, no cardboard bologna, none of the other processed sandwich fillings that we now call cold cuts or lunchmeat. It would follow that in order to make meat more sliceable, it would be helpful to mold it into loaves, like bread. Which is exactly what happened. The German immigrants who brought their own version of the Bologna sausage to Pennsylvania and the Midwest in the 1880s were not nearly so fastidious. The Germans themselves were no slouches at sausages, but the “bologna” they produced in America consisted of any kind of meat scraps they could find, not just pork, but also chicken, turkey, and beef. This must have seemed like a brilliant idea to the nation’s meatpackers, especially during times of scarcity, like the Great Depression, or severe rationing, like World War II. What a cheap way to feed lots and lots of people! Hence the rise of bologna, perhaps the quintessential American cold cut, meat only in the most technical sense. But we are no longer in a Depression. We have many more lunch options that can be prepared in three minutes or less: Tacos! Hummus! Poke bowls! Meat that was sliced from something recognizable as a ham or a chicken! Why do we continue to eat bologna and all that other crap that we call lunchmeat, even though it doesn’t really taste that good and has unpleasant associations of elementary-school lunchrooms and prisons? WOF, Frischkorn writes, is the result of the breakdown of polyunsaturated fats (PUFAs) in meats. This is what makes cooked meat juicy. (Unfortunately, the breakdown doesn’t stop when the food hits the table.) The best way to prevent WOF is by keeping cooked meat away from oxygen. Part of the appeal of deli meats is that they’re vacuum-sealed in the processing plants so they won’t get funky and spoiled. They’re also loaded with preservatives, salts, and nitrates. The salts especially are why nutritionists are so horrified by lunchmeat. 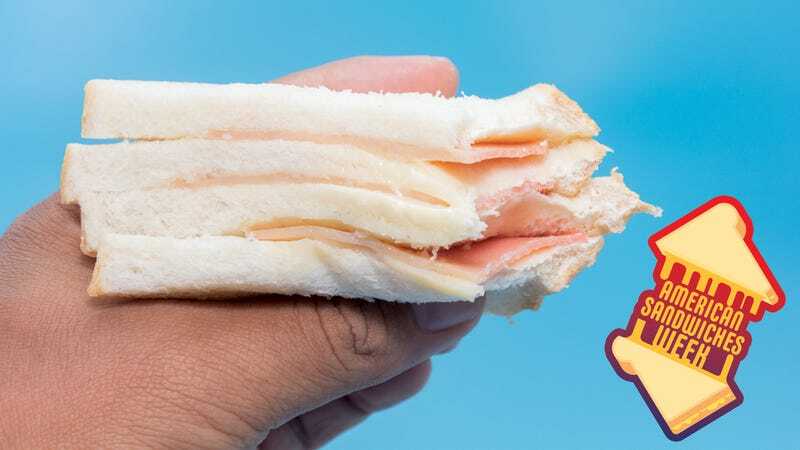 According to the Centers for Disease Control and Prevention, cold cuts are one of the top 10 sources of sodium in Americans’ diets; a basic turkey sandwich with one slice of cheese and a schmear of mustard contains 1,522 milligrams of sodium, two-thirds the recommended daily allowance. But cold cuts need all those preservatives. They are unprotected by skin or rinds or crusts and are thus vulnerable to all sorts of bacteria. What are they, after all, but unwanted chunks of meat ground up into slime by machines and processed into loaves or extruded into casings, then smoked and shoved into plastic to sit in glass cases, or just perhaps in molded plastic coffins, untouched by human hands, a product of brutal American efficiency? They are entirely artificial, reminders of our own mortality and the frailty of the American dream. Or something like that. A cold cut is a sad sandwich you eat in an institutional cafeteria. A cold cut is a tray laid out at a funeral (and, in some cultures, a reminder that no one thought the deceased was worthy of the more expensive smoked fish platter). A cold cut is definitely not a warm, convivial Sunday evening by the fire. A cold cut is the saddest American sandwich of all.